I will have more posts coming up on a great minimalist daily cleaning routine, weekly, and deep clean. I will have videos to accompany them. 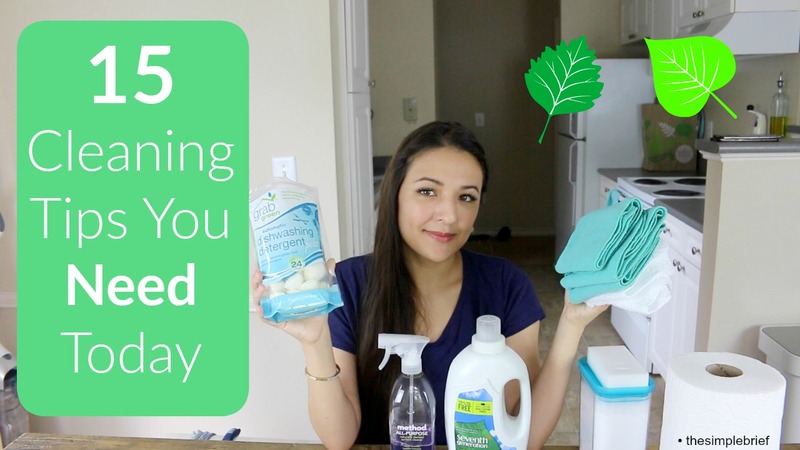 In this post, I wanted to cover my all-time top cleaning tips and cleaning products before I start the Clean With Me series. Cleaning items are divided in two: products and tools. 1. Make a designated wishlist on Amazon just for products you buy regularly. 2. Limit DIY cleaners. Instead, buy less cleaning products and use less of the ones that you do buy because they’re potent. 3. Stay away most eco cleaning agents; i.e. just buy a lemon for the few times you’ll ever need lemon juice to clean something. 4. Use a bucket with vinegar under the sink and water so that rags don’t smell before putting them in the wash.
5. Use vinegar to freshen laundry and drains. 6. Use rubbing alcohol to clean electronics, like in-ear headphones. 7. Reuse Method bottles with a 50/50 vinegar and water spray, great for mirrors. 8. Put baking soda in a container that it is easy to pour out of, for drains and tubs. 9. Do NOT use baking soda for counters or floors. 10. Use a magic eraser to make Crock-Pots sparkle. 11. Use just hand soap if you have a dishwasher. Liquid soap is great for cleaning floors, some stains, tubs, and counters. 12. Buy paper towels, toilet paper, and dishwasher pods on Amazon. 13. Use a grout brush to get caked-on food off of counters and floors before wiping them down. 14. Use microfiber cloths on the bottom of your Swiffer. 15. You only need a small dustpan when you own a cordless vacuum; no broom necessary. 16. Keep cleaning products in as few places as possible. Best cleaning tools and tips video.